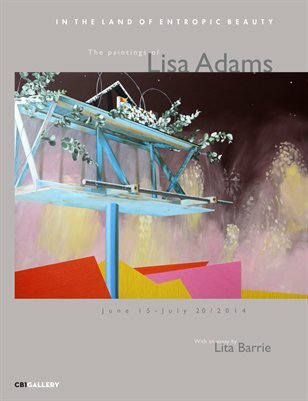 "In The Land of Entropic Beauty" was a 2014 exhibition at CB1 Gallery in downtown Los Angeles by artist Lisa Adams. The 12-page catalogue, designed by renown graphic designer Jayme Odgers, includes an insightful essay by Los Angeles based art critic and essayist Lita Barrie. Barrie's discourse includes the conflicting emotions of hopelessness and hopefulness that are, in part, the basis to a melancholic state among other complex ideas.